A foundation for the arts, located in Thiruvanmiyur, that’s open to the public and works as a school too? We’re in love with Kalakshetra already and if you’re not yet, here’s why you will be. Founded by Rukmini Devi Arundale in 1936, Kalakshetra was established as a space for artistic expression, education and discovery. It stretches out over almost 100 acres and is close to the beach and is one of the most important centers for studying fine arts in south India. And in 1993, the Government of India recognised Kalakshetra as an Institute of National Importance and it is part of the Ministry of Culture. Students who come to Kalakshetra get to learn dance, art and be part of the Theosophical School. The dance institute is the first one to establish a meaningful theoretical syllabus for dancers and at the Rukmini Devi College of Fine Arts students get to learn dance, music and visual arts. Did you know that there is a form of dance composition that is known as the ‘Kalakshetra Style’? It was created by Rukmini Devi after adapting the various teaching methods into her classes. Also on the property is the Besant Arundale Senior Secondary School and Besant Theosophical High School. 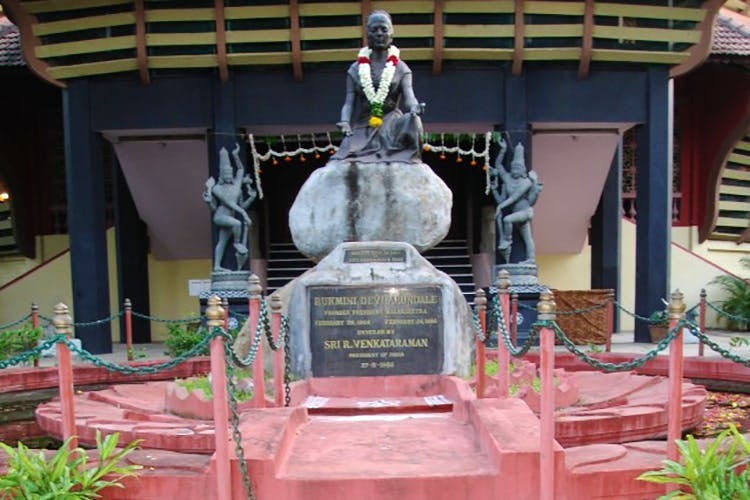 Built as a school and a foundation for the arts, Kalakshetra is so much more! If you haven’t visited the school, you’re missing out on the gorgeous architecture, nature walks and a tour of the campus that allows you to sit in on the classes to get the full South Indian cultural experience. The school offers courses in dance, music and visual arts, so if you’re a budding artist, make sure you apply! They offer two courses – a four-year Diploma in Dance, Music & Visual Arts and a two-year Post Diploma in Dance and Music. There are also offers for scholarships available. They have a Heritage Walk (INR 1,500 for adults and INR 70 for children below 12) which is guided and you get to walk through Kalakshetra, learning about the history of the foundation and the school, you get to sit in on the Morning Prayer and walk through the Instruments Cottage, Tagore Hall, the Visual Arts Department and the Ayyanar Shrine. And, if you’re lucky, you get to watch the classes as they happen. For those who just want to walk around on their own (INR 100), you can do that as well, but you still have to follow the Kalakshetra rules.